An aquatic area where parents can unwind and relax whilst the kids have fun in complete safety... An impossible dream? 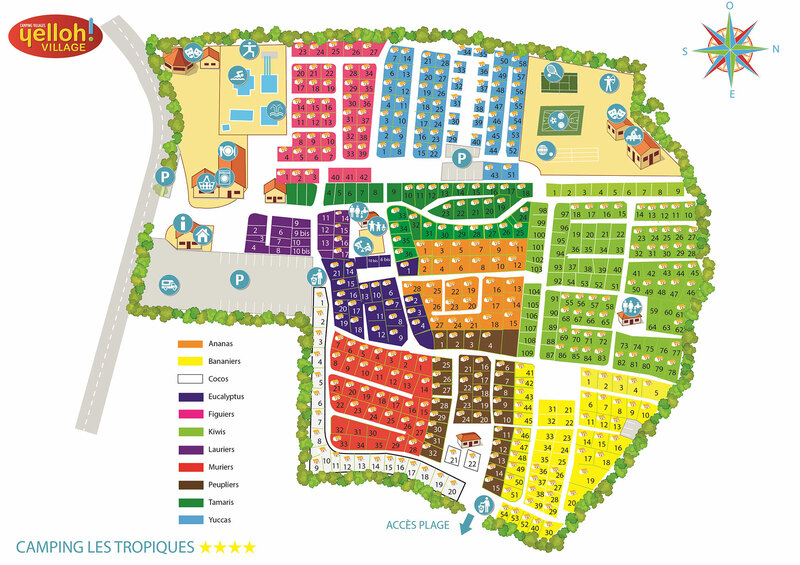 Believe it or not, it’s exactly what we offer at the camping Les Tropiques! Here, you’ll have no less than 2 lap pools including one that is heated, 2 heated paddling pools one of which even has fun water games for the little ones, 4 multi-slide and 1 slide for the brave-hearted... A real dream come true! And I don’t know about you, but we can’t wait to take a dip! Tight swimming gear is allowed, shorts are forbidden. A mere 600 metres from our campsite, the fabulous stretch of white sand at Torreilles-Plage is close enough to walk to. With its 4 kilometres of shoreline, 3 incredibly beautiful beaches and 300 metres of protective dunes, your holiday at the water’s edge is set to be awesome! And if you fancy a change of scenery, there are plenty of other coastal towns each waiting to offer you and all the family its own special welcome: Barcarès, Leucate, Perpignan, Canet-en-Roussillon, Argelès-sur-Mer… And even over the border into Spain with Portbou, Colera, Platja de Garbet… If nothing else, a camping stay at Yelloh! Village Les Tropiques is guaranteed to widen your horizons!